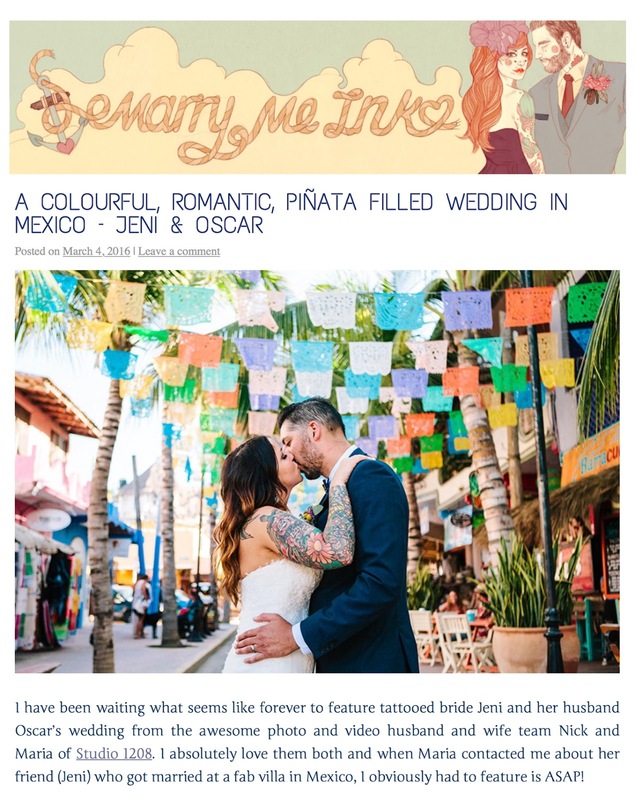 Today we are so excited to share Jeni and Oscar's gorgeous Sayulita, Mexico destination wedding featured on Marry Me Ink! To see the full beautiful feature with tons of images, head on over to Marry Me Ink now! And if you missed it the first time, check out their wedding film trailer below! If that still isn't enough to make you laugh, cry, and want to party, then check out their full film HERE. The day after our wedding my husband and I said repeatedly that there was nothing about the event that we would have done differently. Every aspect of wedding venues Los Angeles was perfection. It was everything we hoped for - and more.